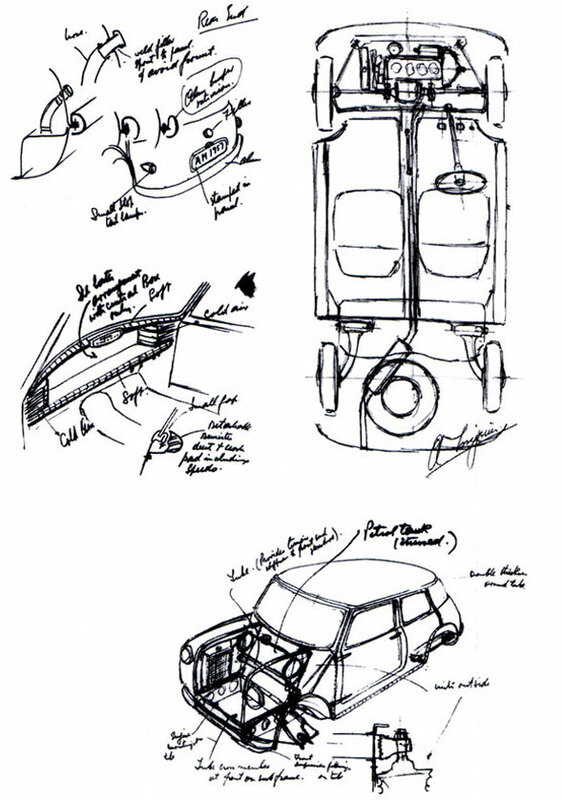 Lead Mini designer Alec Issigonis was a friend of John Cooper. 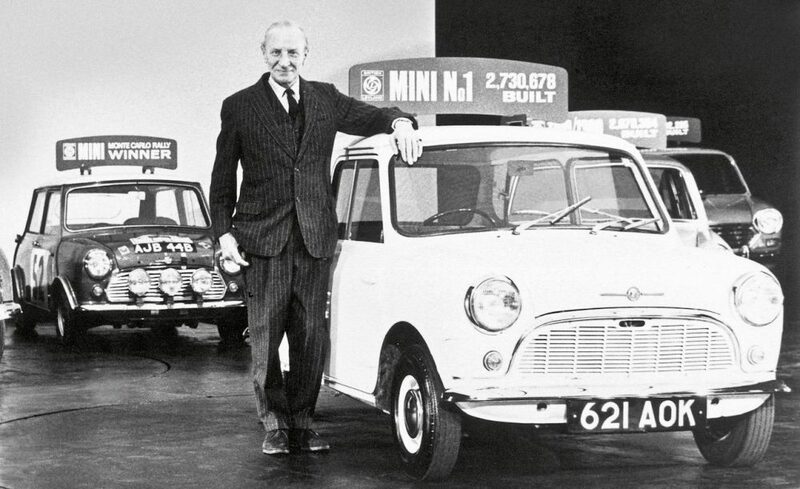 John Cooper, the founder of Cooper Car Company and genuine enthusiast, believed there was room in the market for a spiced up Mini prepared for competition. 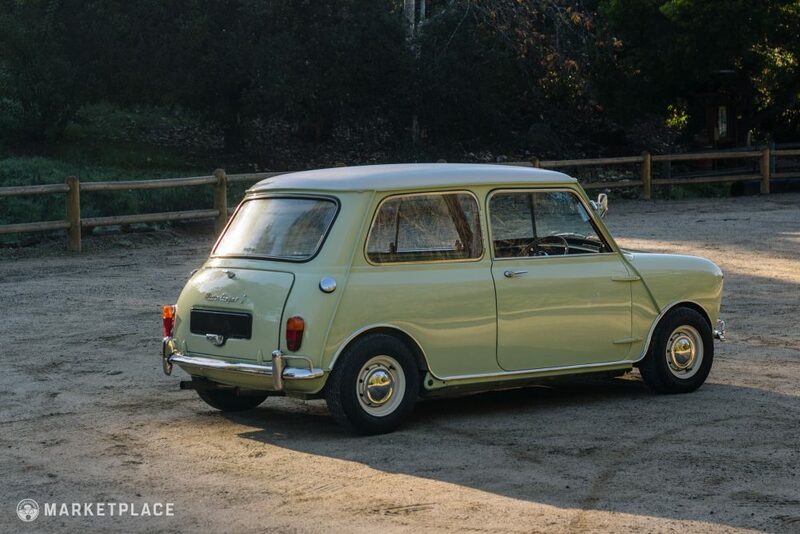 Issigonis was initially apprehensive about the concept, but after selling the idea to BMC bean counters, Issigonis and Cooper teamed up to make a red-blooded Mini. 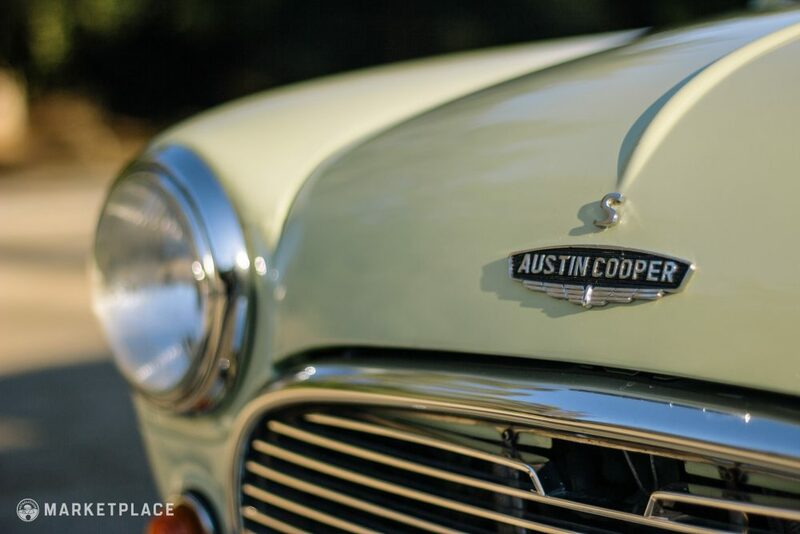 In 1961, the Austin Mini Cooper and Morris Mini Cooper debuted powered by a rejuvenated punched-out 997cc four-cylinder derived from the Morris Mini-Minor. 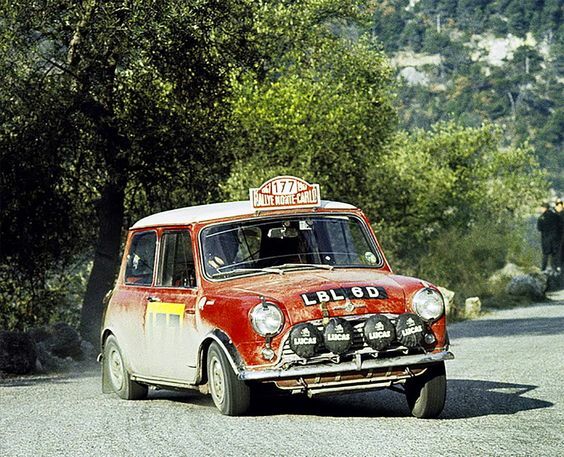 Stuffed wit a longer stroke piston and rod combination, twin SU carburetors, front disc brakes, and a snappy close-ratio transmission, the Mini Cooper proved to be a sporting win for BMC—a batch of 1,000 were summoned to meet Group2 rally homologation. 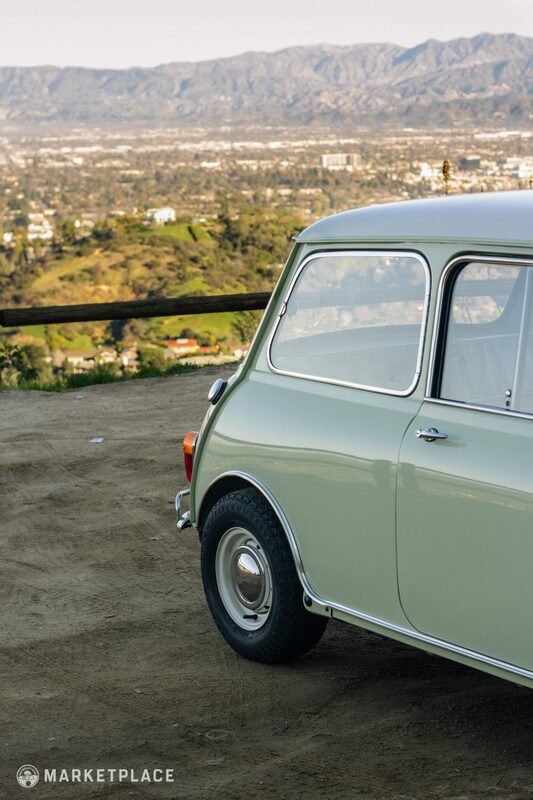 The Mini Cooper received its first major update in 1963: enter the Cooper S. With the addition of the “S” nomenclature, the Mini Cooper gained more power, better brakes, and stronger engine components like a nitrided steel crankshaft. 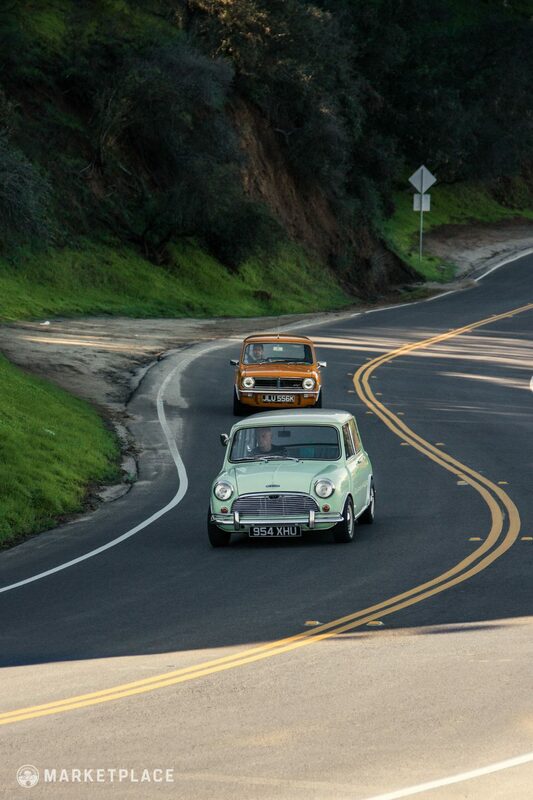 In August 1964, two variations of the Cooper S were built simultaneously for different circuit racing classes—sub-1,000cc and sub-1,300cc classes. 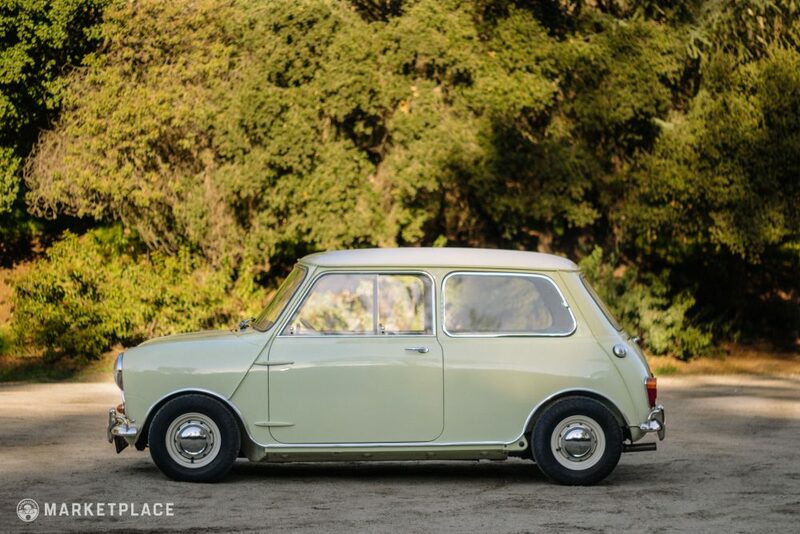 The lower tier displacement class car, the 970cc Cooper S, wasn’t very well received due to its lack of power. 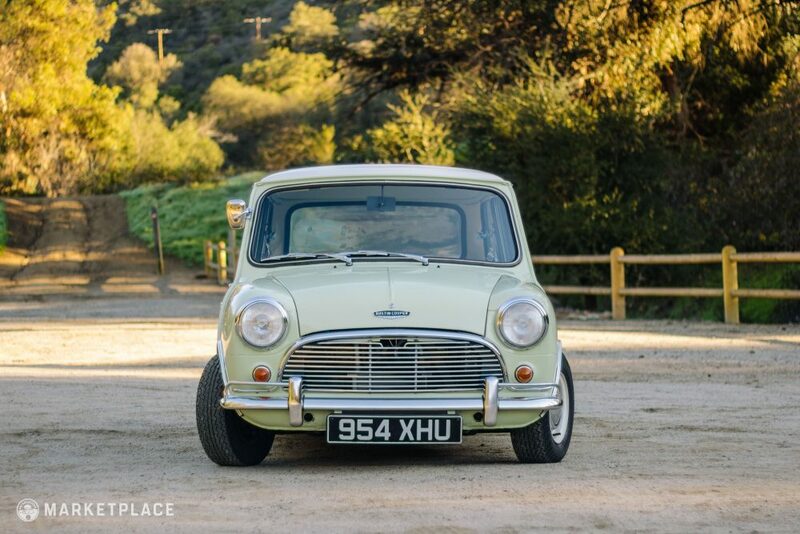 However, the high-strung 1,275cc Cooper S proved to be a serious contender on the circuit, extending its production cycle until 1971. 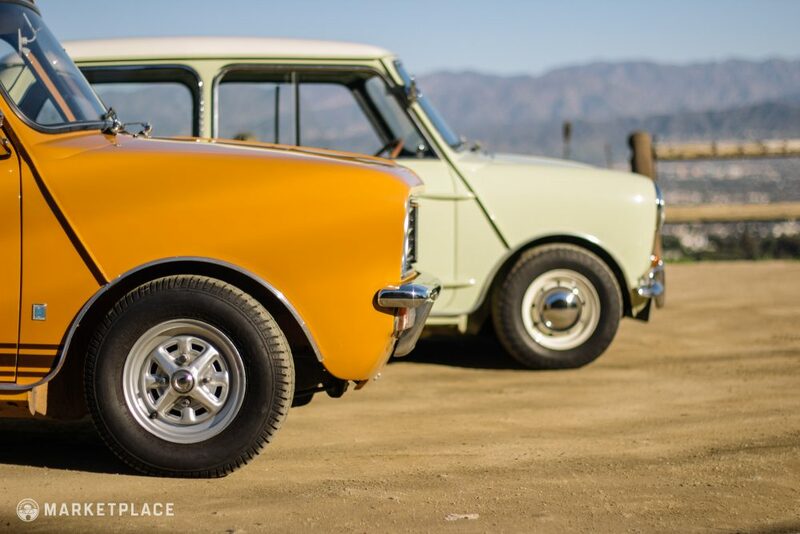 Although the standard Mini and top-of-the-line performance aimed Cooper S closely resemble, there are several differentiating attributes. 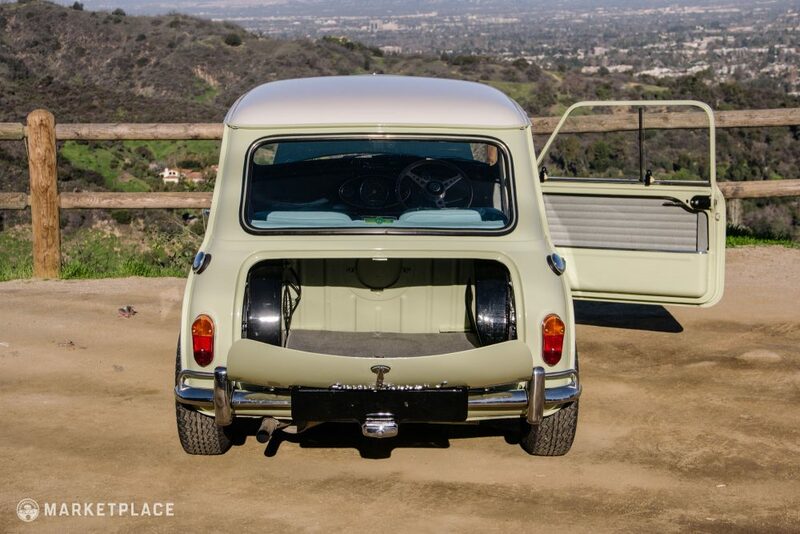 On the exterior the most notable features are a “Cooper S” boot lid badge, an “S” badge just above the bonnet emblem, right side fuel tank and filler cap, vented nine slot cut 10×4.5” wheels finished in Old English White with polished caps, and front and rear overrider bumpers with nerf bars, and offered in just seven paint colors. 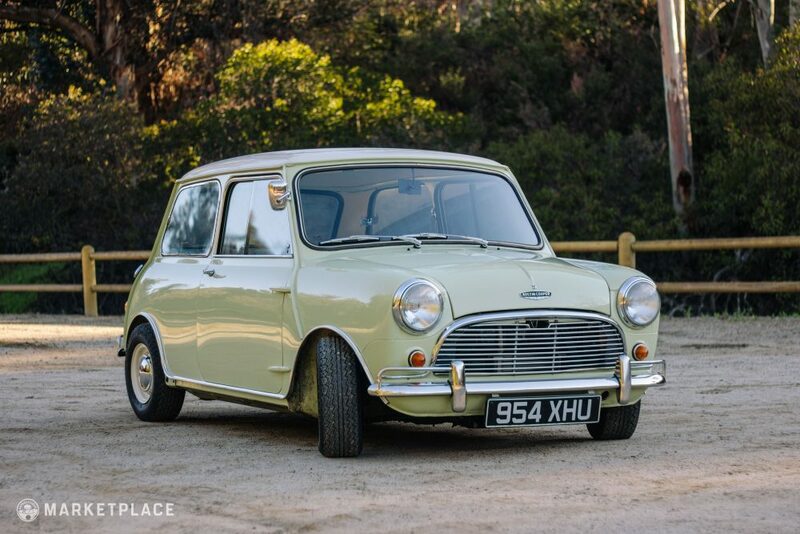 This RHD 1964 Austin Mini is an authentic and highly desirable Cooper S model finished in it’s original Fiesta Yellow, one of the rarest color combinations for this configuration. 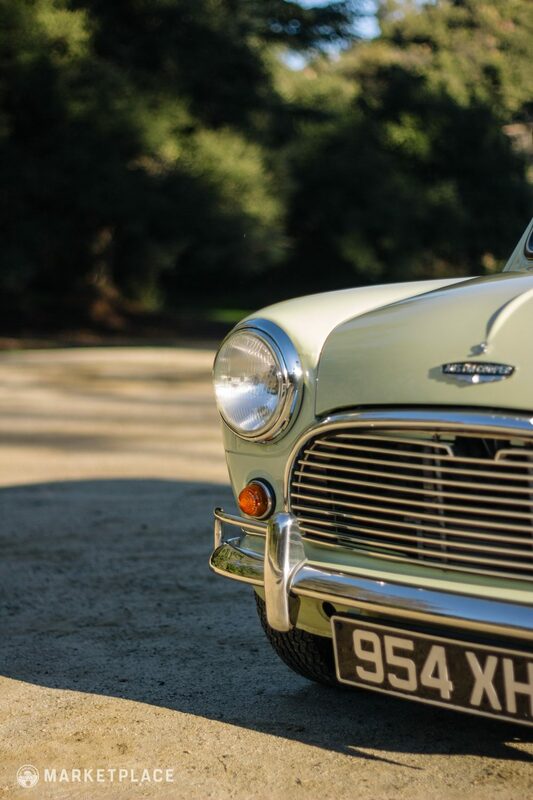 Restored by the Mini experts at Somerford Mini in the UK to original cosmetic condition, the car has some moderate mechanical modifications (see below), all of which have been done to very high standards. 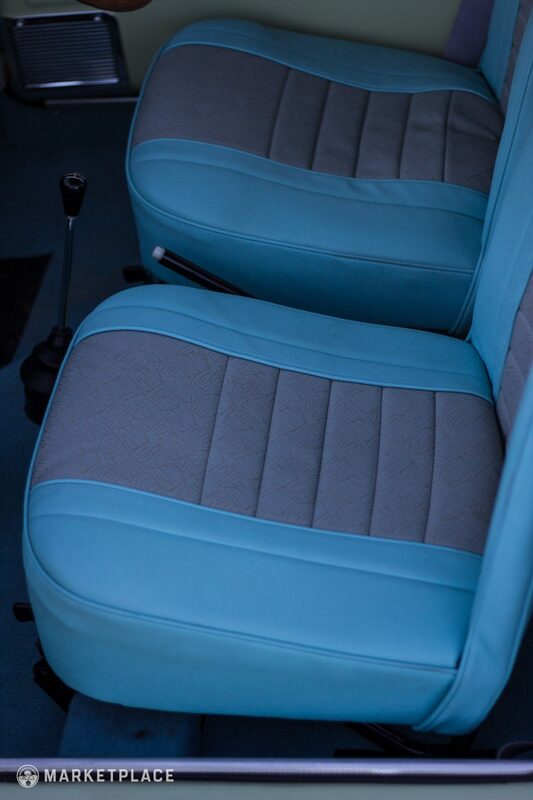 The interior is in equally good shape featuring a period correct Les Leston 13-inch flat wood rim and Paddy Hopkirk throttle pedal extension. 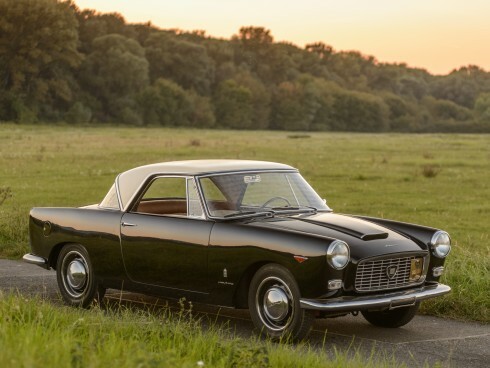 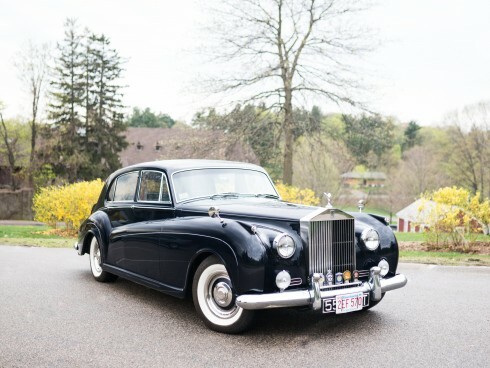 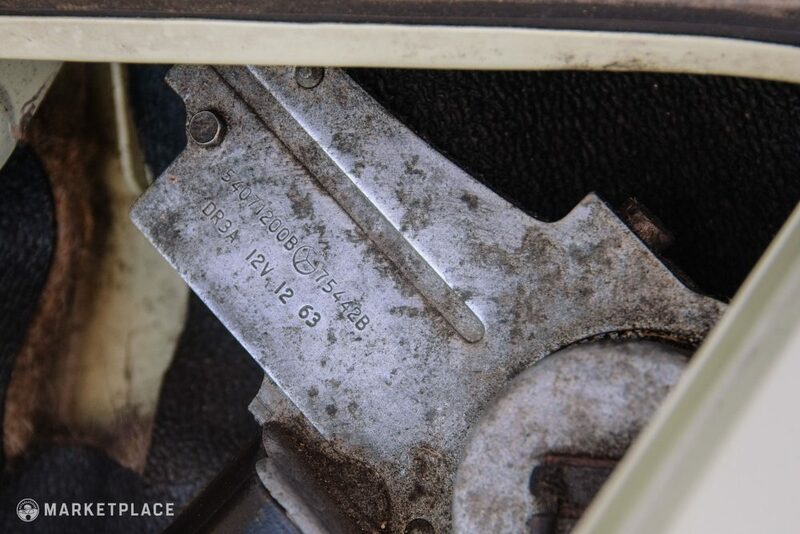 Body – During the restoration, a few body panels were replaced where necessary with the correct British Motor Heritage parts, including 4 vent rockers and full skirt front valance. 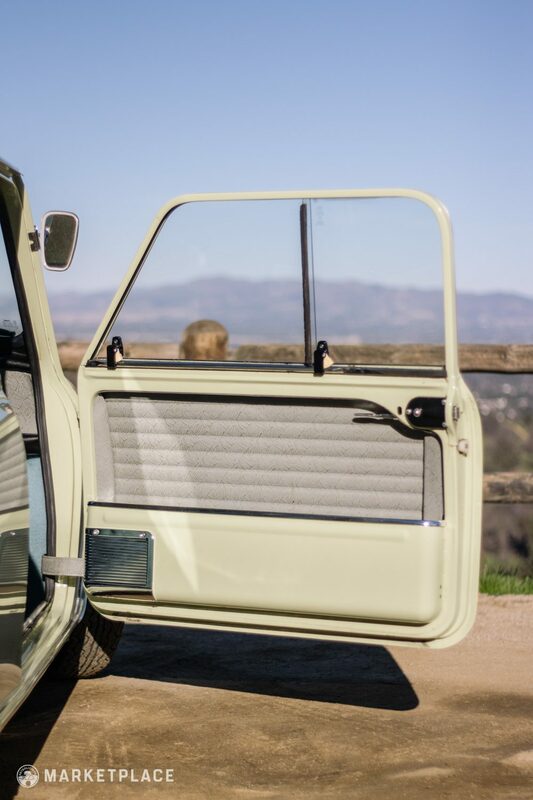 The body is mostly original, straight, and free of rust. 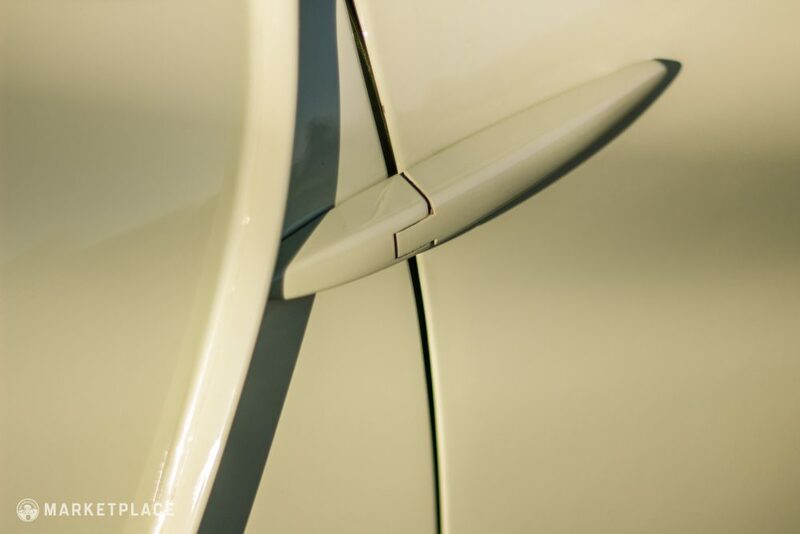 Paint – In 2006, the car was resprayed in its original Fiesta Yellow and Old English white roof, the rarest of all color combinations (less than 100 made). 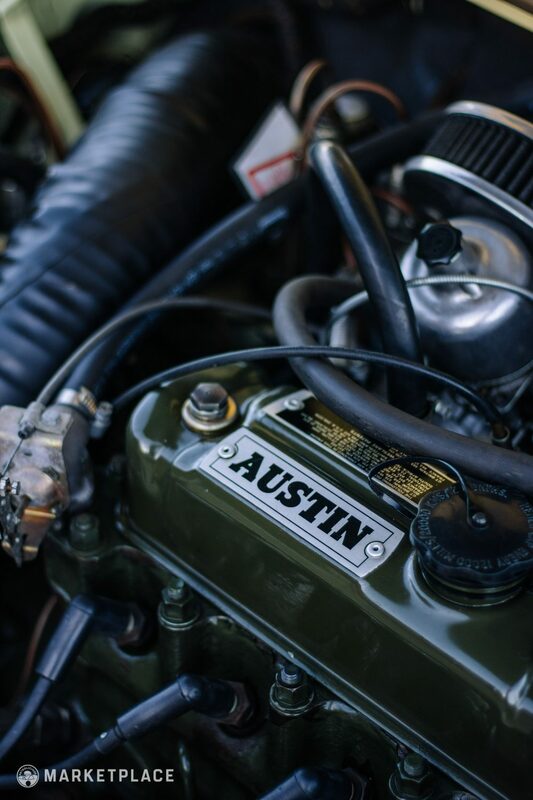 All body cavities were fully treated with dinitrol rust proofing. 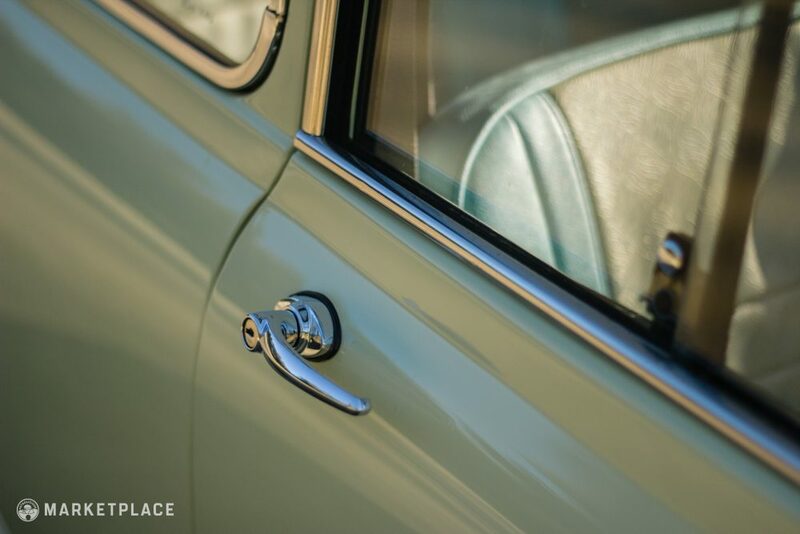 There are a few minor imperfections in the paint, most notably a small scuff at the base of the passenger door incurred from adjusting the door alignment. 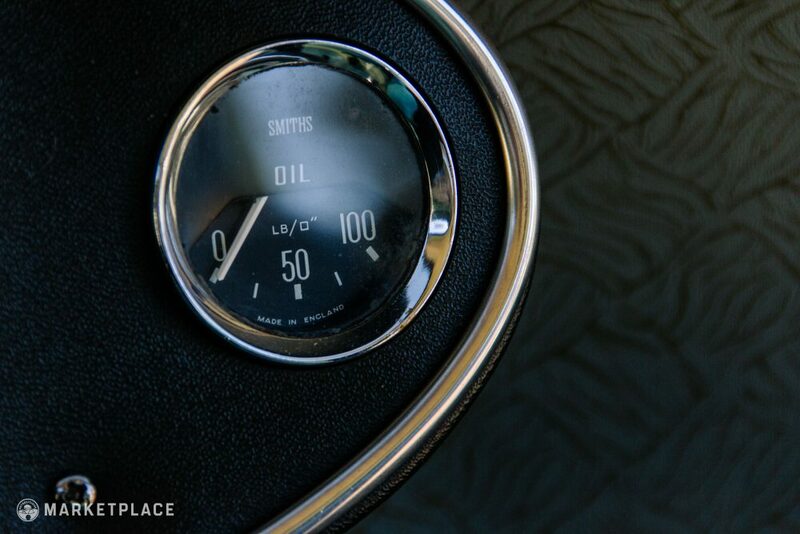 Chrome & Glass – All trim and brightwork, including the badges, filler caps, and beauty rings are original BMC pieces in superb condition. 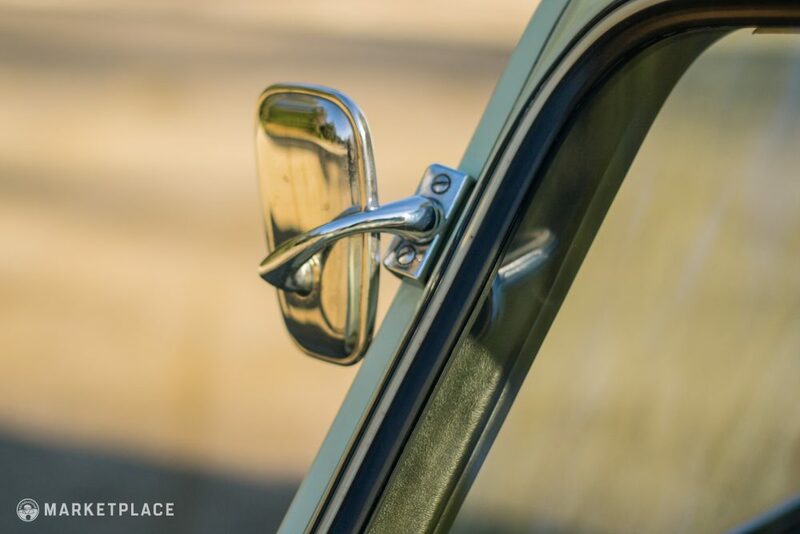 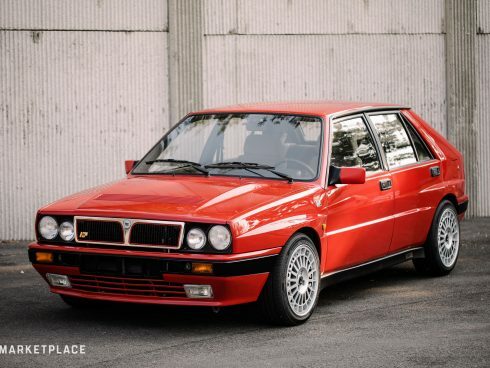 The door and rear quarter glass pieces are original and in excellent presentation while the windscreen and rear glass have been replaced with newer installments. 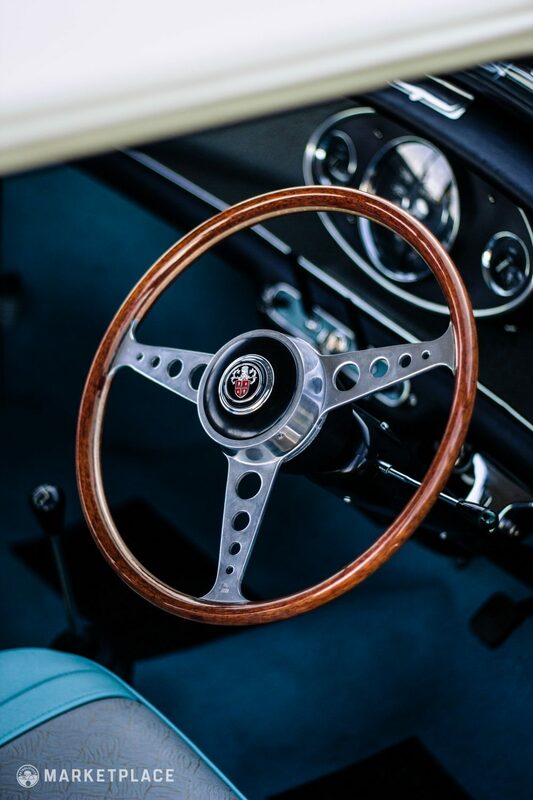 Wheels – The original 10×4.5-inch steel wheels were refinished in matching Old English white and are finished with all four polished center caps. 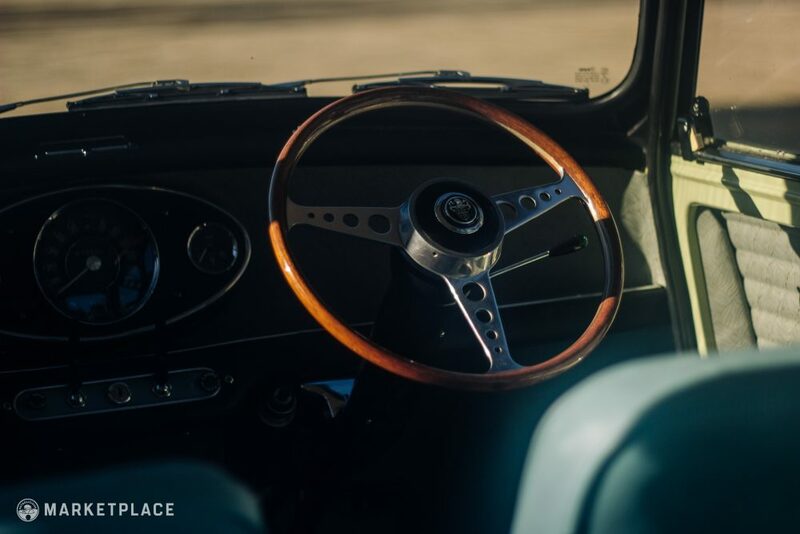 Steering Wheel – The highlight of the cabin is the exceedingly rare authentic Les Leston 13-inch flat wood rim steering wheel that is in like-new condition. 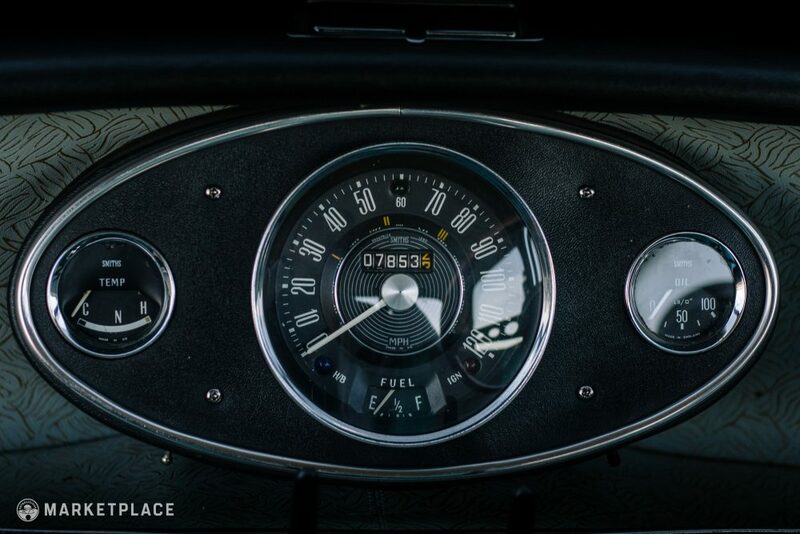 Dashboard & Instrumentation – The tri-gauge center pod retains all of its original Smiths instruments, which are fully functional and clean. 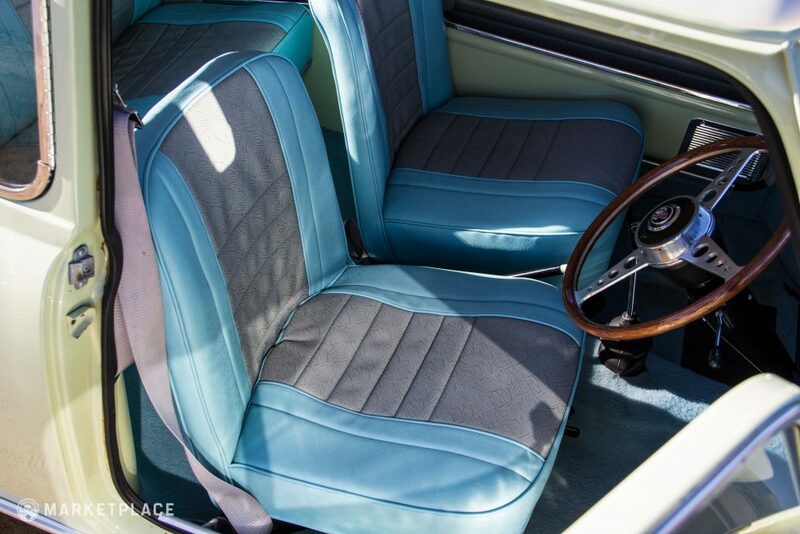 Seats, Trim & Carpet – All switchgear, trim, carpet, headliner, door panels, and seats are in excellent condition. 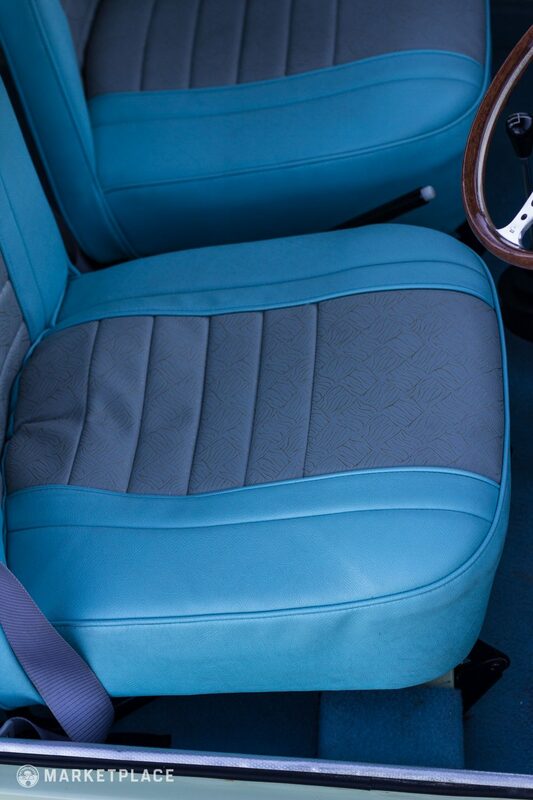 The seats have been reupholstered in the correct powder blue and gray gold brocade Newton Commercial covers. 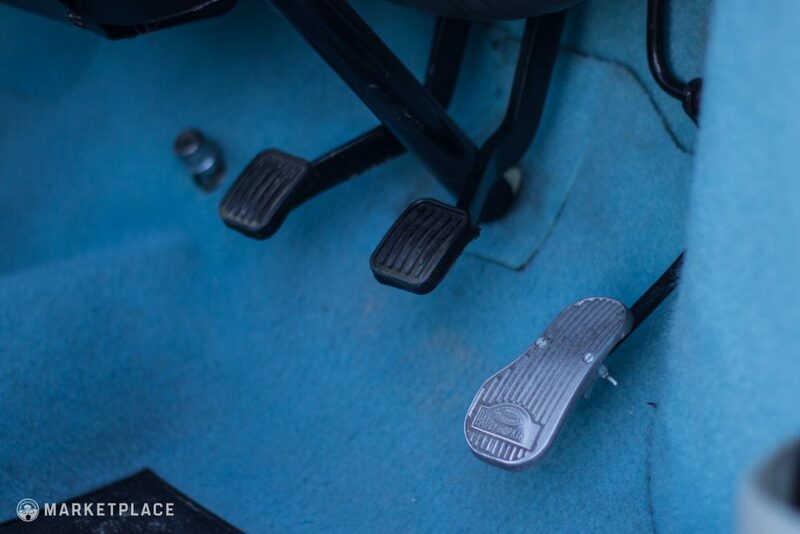 Bonus: the accelerator is equipped with an original 1960s Paddy Hopkirk throttle pedal extension. 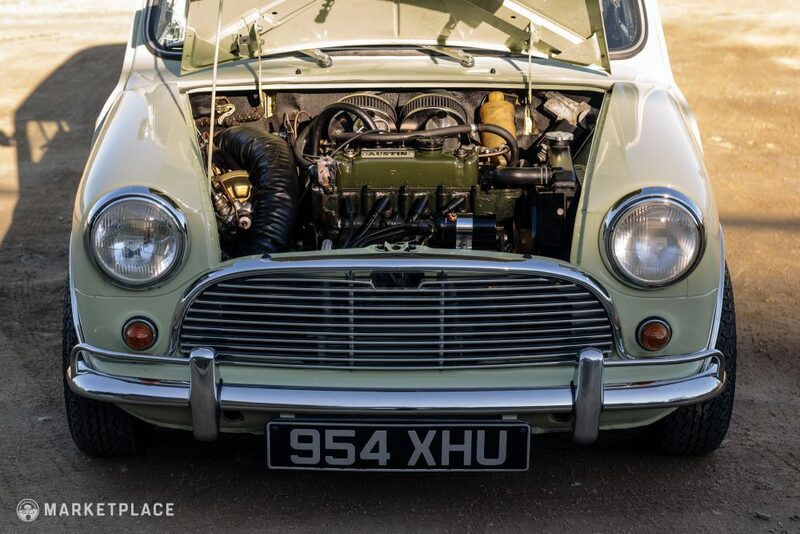 Engine – In 2006, the engine was completely rebuilt by renowned Mini tuner, Richard Longman. 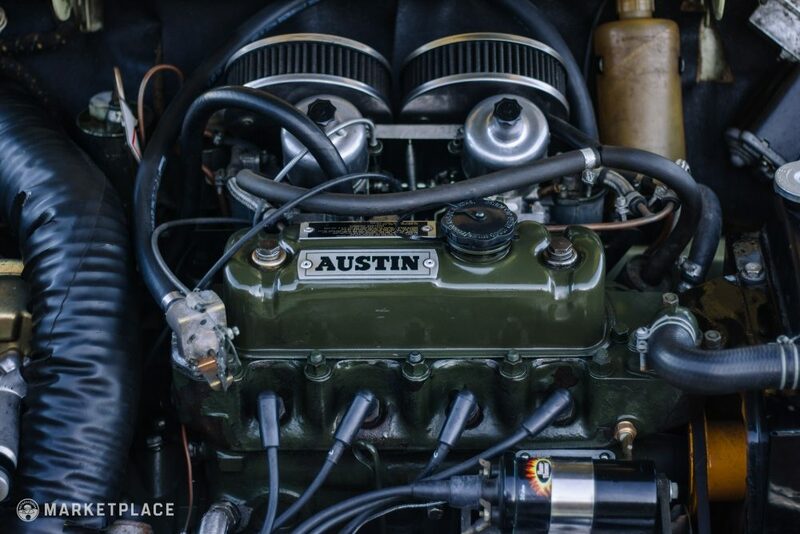 The numbers matching 1275cc four-cylinder was punched out to 1293cc for an uptick in torque and power, now equipped with twin 1-1/2-inch HS4 SU carburetors, a Kent 276 camshaft, a Longman GT7 head, an electronic ignition system, and a lightweight flywheel. 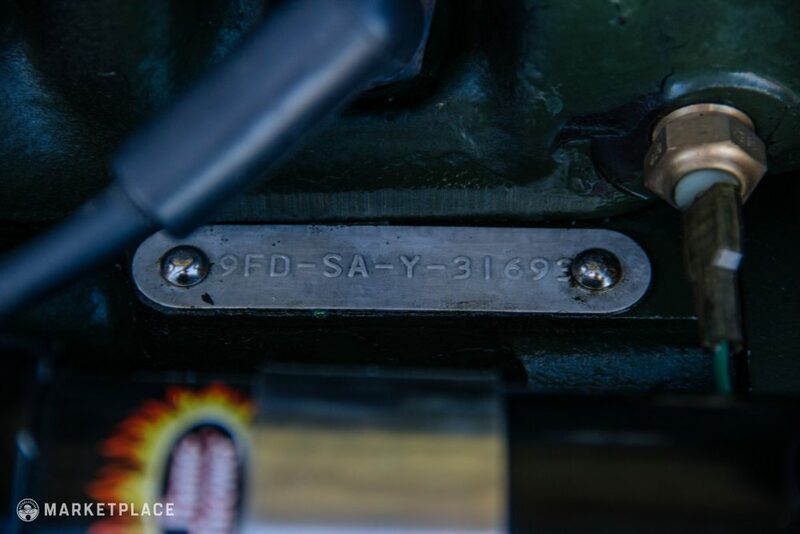 The engine was balanced, reassembled, and—although it has yet to be dyno’d—is expected to make 100 base horsepower. 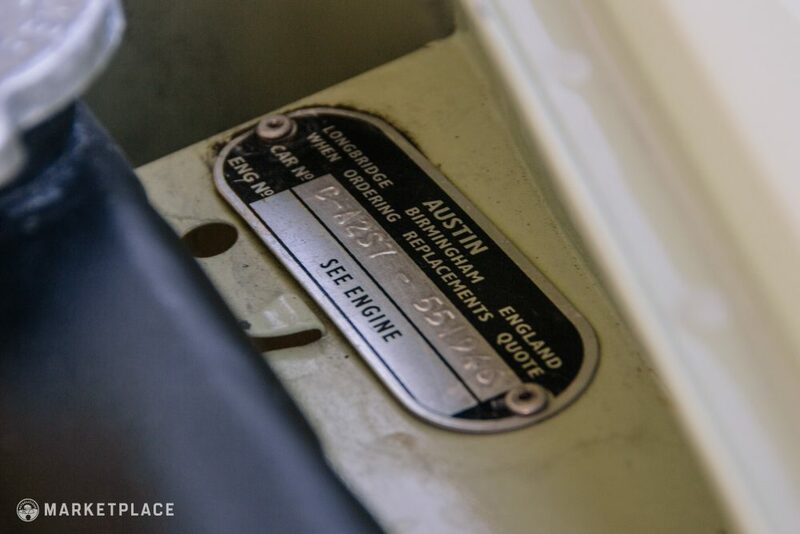 Since the rebuild, the engine and transmission has seen less than 8,000 miles of use. 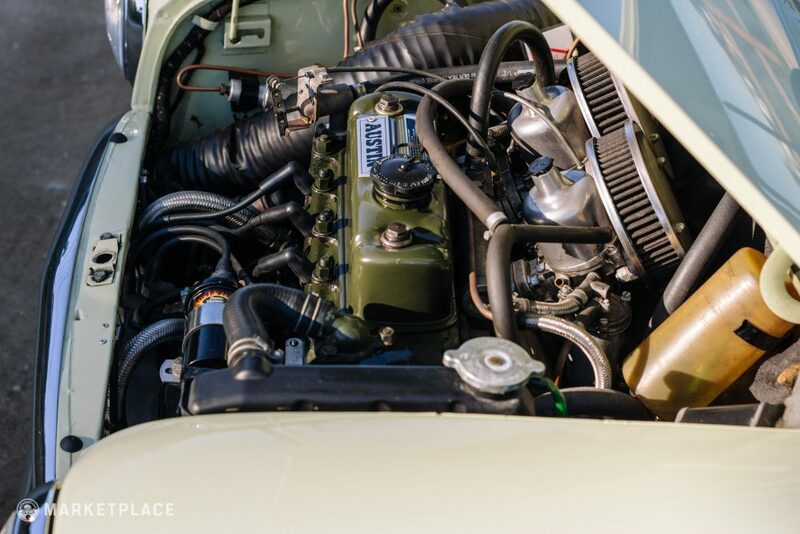 The Drive: The car fires promptly, idles smoothly, and revs out with good torque delivery thanks to the sensibly tuned fresh 1293cc rebuild by Mini experts. 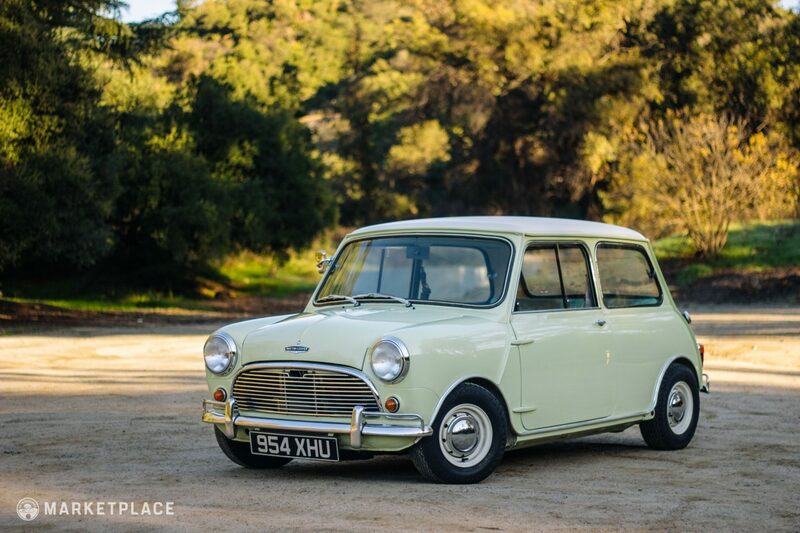 Transmission – Still in place is the original and extremely rare 22G333 three-synchro close-ratio Cooper S gearbox with a 3.44-to-1 final drive ratio, which was also fully rebuilt in 2006. 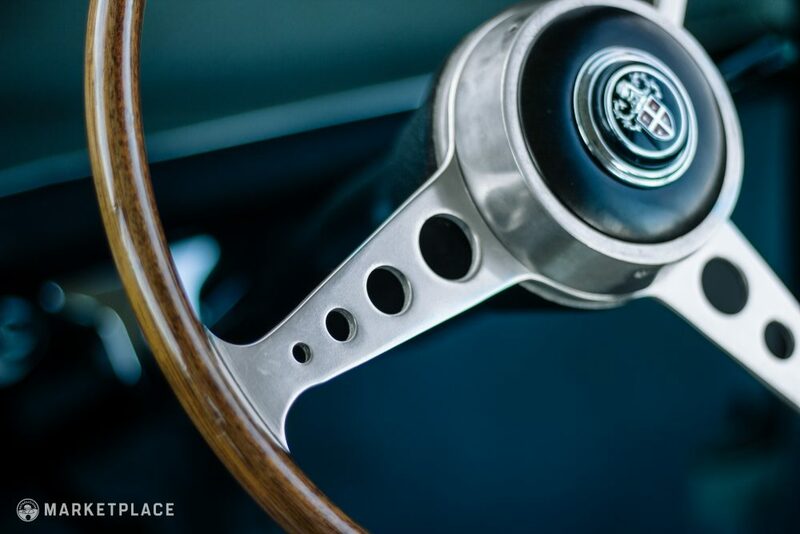 The Drive: The rebuilt original 22G333 close-ratio four-speed manual transmission shifts smoothly with no grinds or pop-out issues and is a joy to shift thanks to a lightweight flywheel and solid gear handle throws. 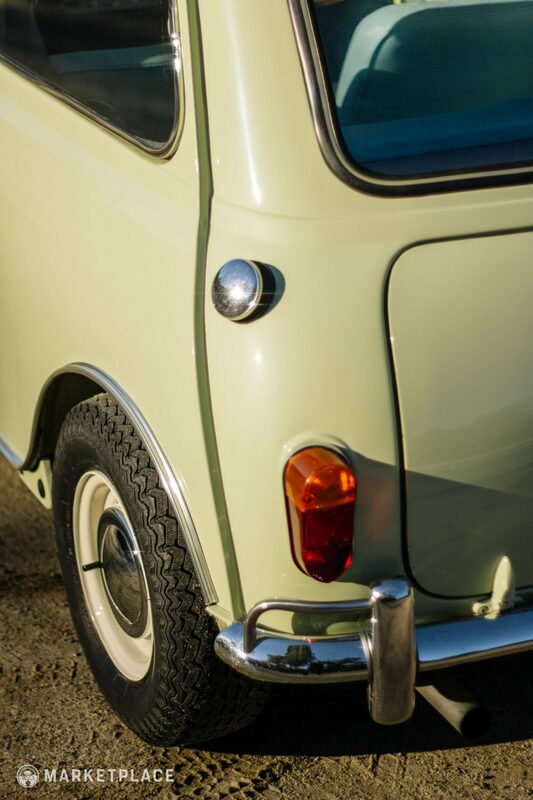 Handling – The original factory rubber cone suspension has been replaced and supplemented with Koni dampers. 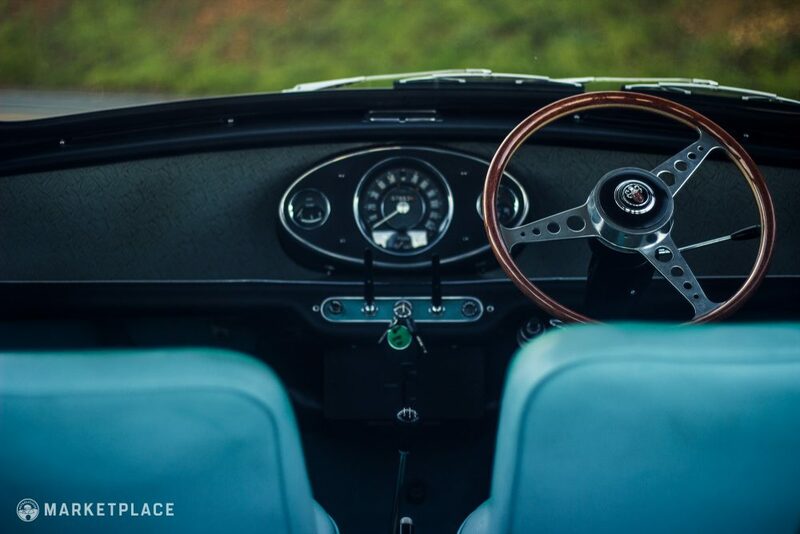 The Drive: The car turns in sharply thanks to its short wheelbase, and steering inputs are instant with agile response. 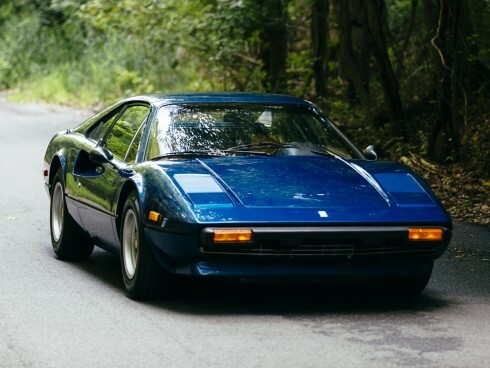 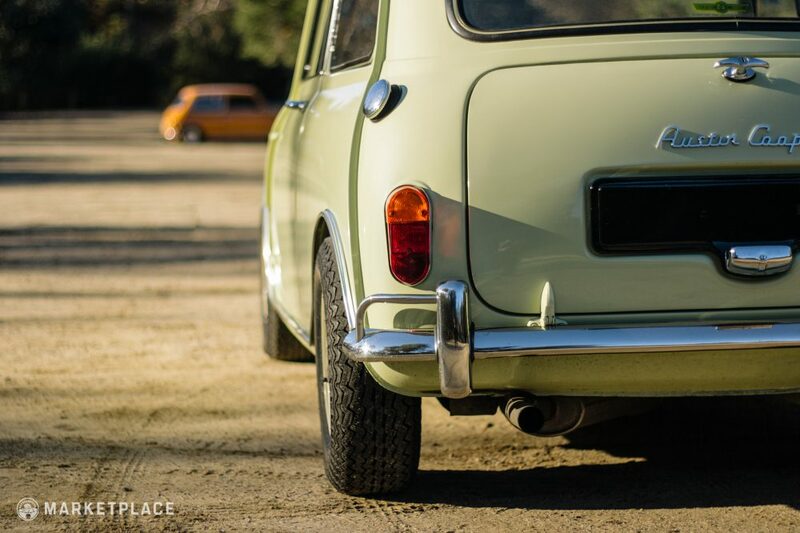 The car stops on a dime, thanks to its brand-new, correct brake components. 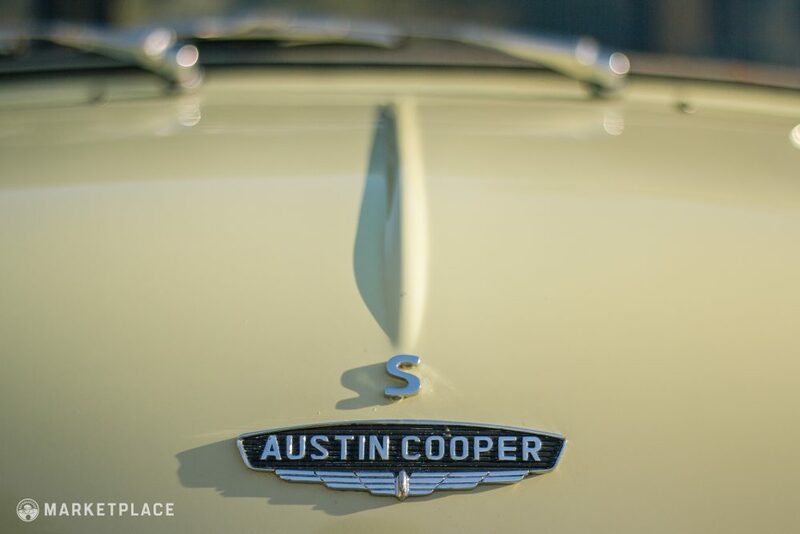 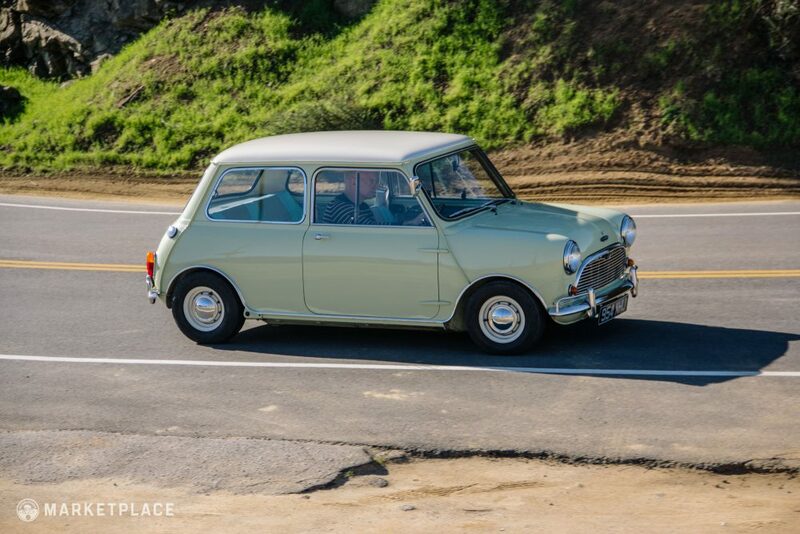 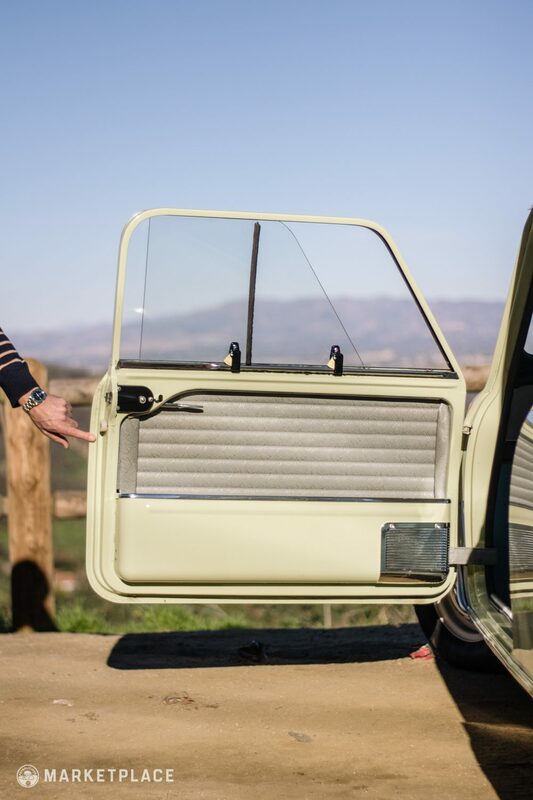 Although this Cooper S has been restored to factory exterior aesthetic standards, the numbers-matching powertrain has been lightly modified for added reliability, longevity, and fun. 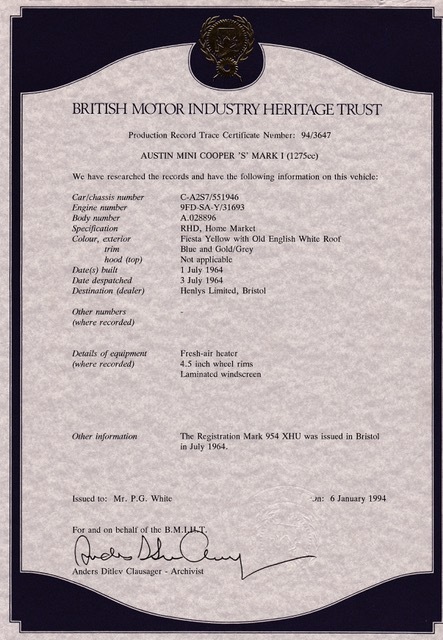 Receipts documenting the cars full restoration by Somerford Mini Specialists in the UK are available. 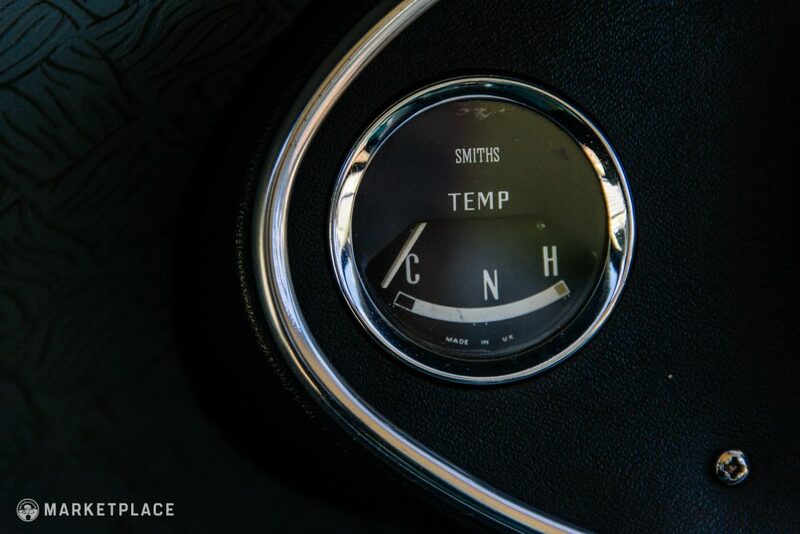 Blast to Drive: Mini Coopers are great fun – this S package with the touch of extra power combined with the nippy handling provides for one of the best driving experiences, period. 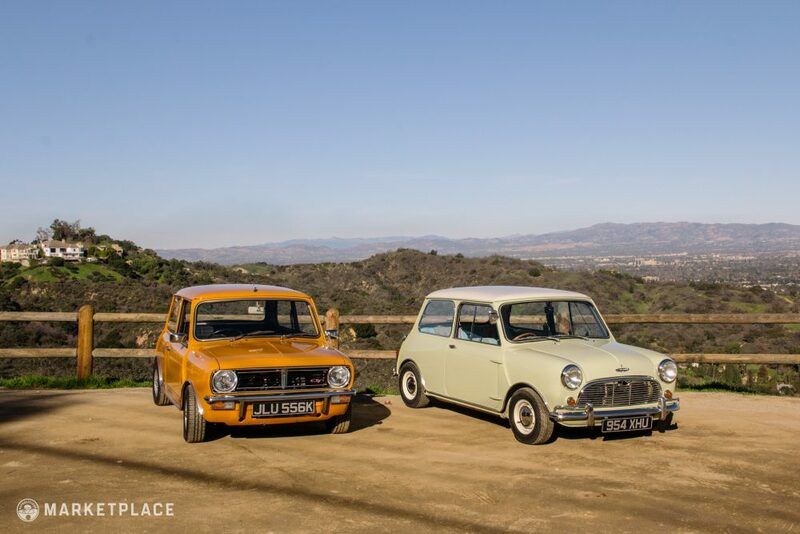 Exceedingly Rare: The Austin Cooper S is already rare, but the Fiesta Yellow in this configuration adds significantly to its uniqueness. 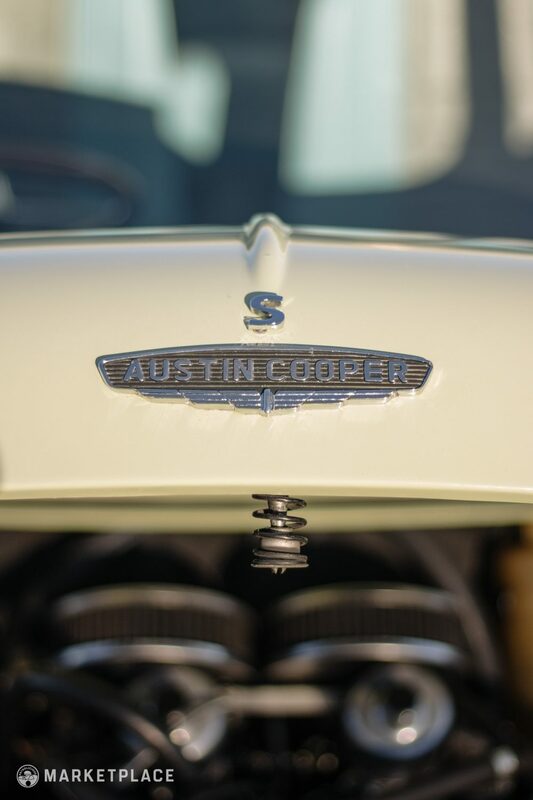 Tasteful Modifications: The vast majority of the car’s components are original or era appropriate parts, so it’s incremental performance enhancements don’t detract from the car’s original presentation, but instead further bring out the Cooper S’ playful character. 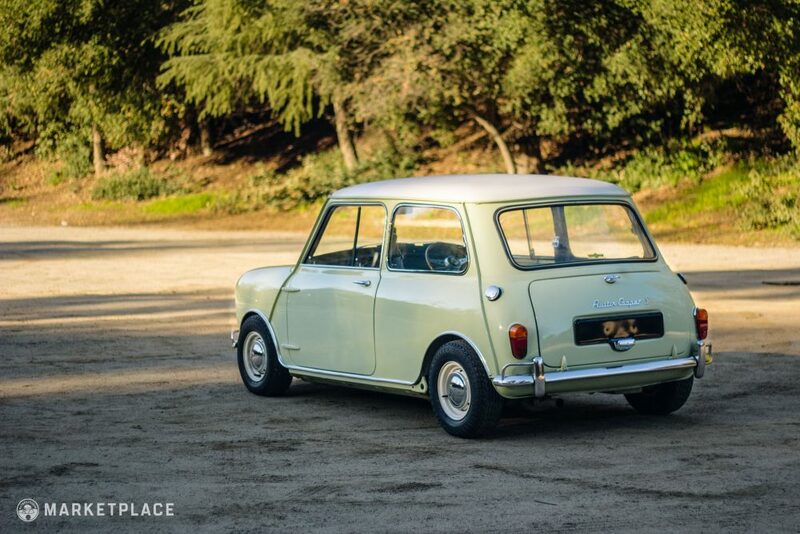 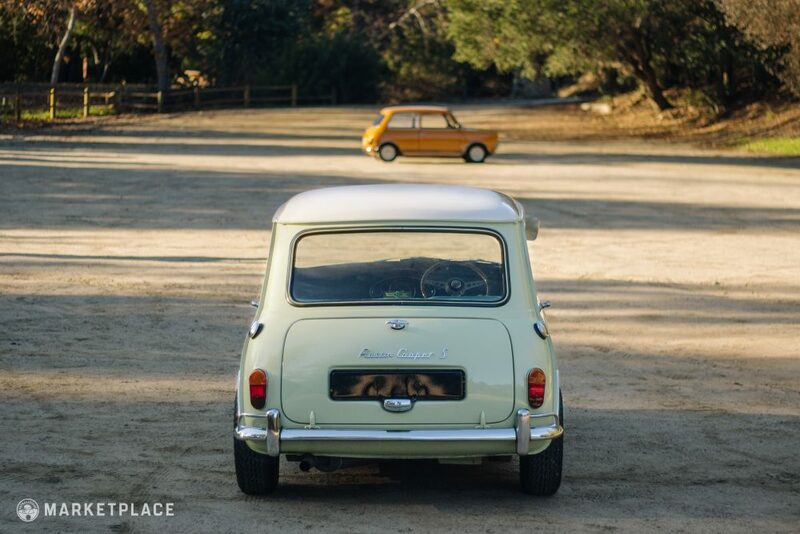 This car is for sale by Mini enthusiast Anthony Hines of Los Angeles, California.